Halloween is a fun-filled holiday for kids of all ages. Modern-day Halloween is modeled after in pre-Christian Celtic festival of Samhain, which was celebrated on the night of October 31. The Celts, who lived in the area that is now Ireland, the United Kingdom and northern France over 2000 years ago, believed that the dead returned to earth on this day. People gathered to offer sacrifices and to the dead. 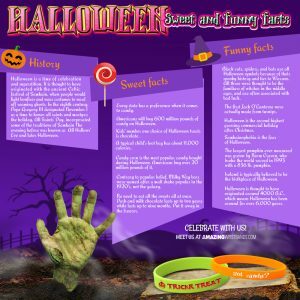 Historically, it's not completely clear how the tradition of trick-or-treating began, but the practice of children going house to house for candy has been a popular in the United States and other countries for an estimated 100 years. 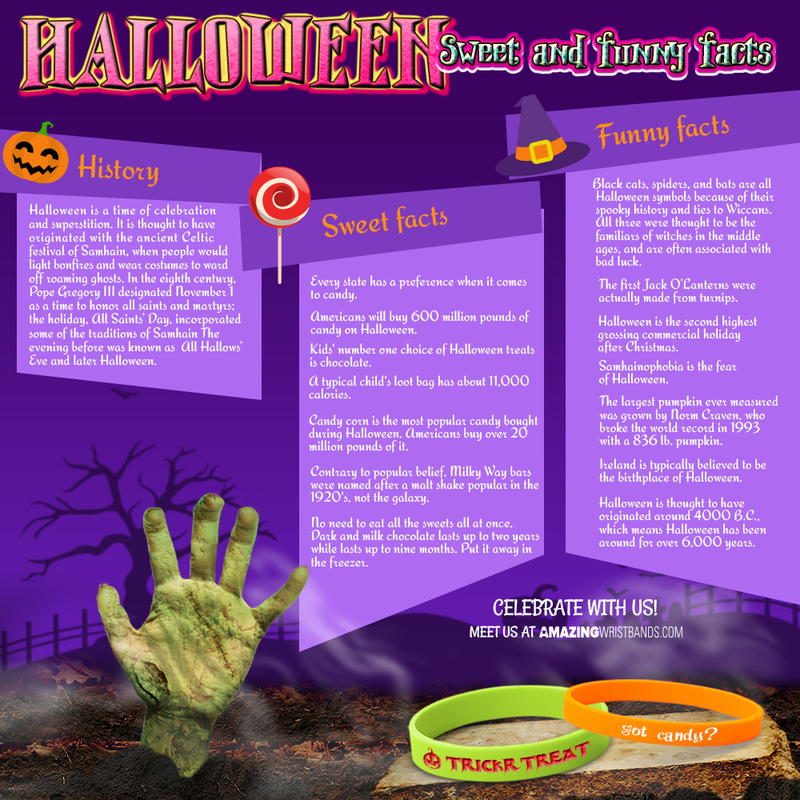 This year, substitute custom silicone Halloween bracelets for the candy as giveaways to children celebrating! Add a fun message to your bracelets. Add glitter to your bracelets. Add a glow-in-the-dark effect to your silicone bracelets – perfect for night! Instead of standard bracelets, order slap bands that snap to your wrist and fit snugly in place. Order thin quarter-inch bracelets or thick one-inch bracelets to really make your bracelets stand out. At AmazingWristbands.com, we sell only 100% silicone bracelets that are non-allergenic and latex free. Many of our custom bracelets have no minimums and can be delivered quickly. Use our online builder to create your bracelets, or give us a call if you need help. We offer free shipping, free artwork, free design, and free color matching. Start to design online today!